Hi all, I thought I'd share this with you all. 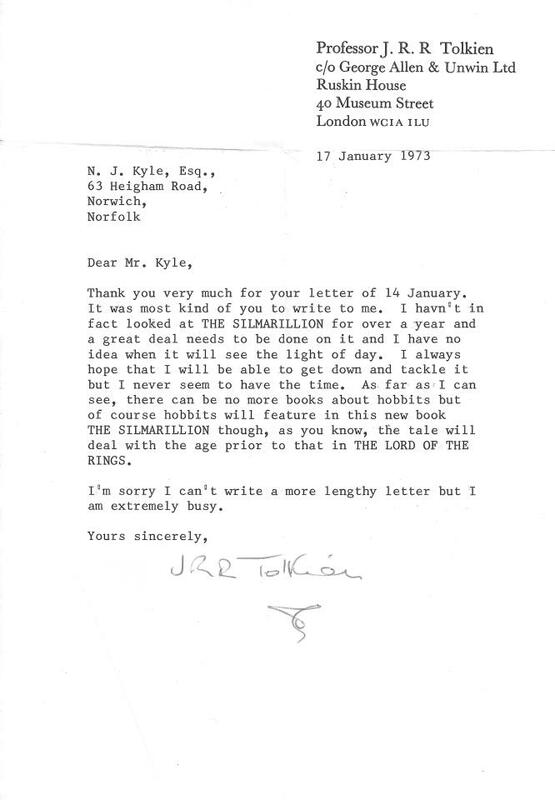 My Uncle, Mom's Brother, wrote to Tolkien in the 70s presumably asking about Hobbits anyway this was the reply. I know JRRT never signed it and was likely done by a secretary but it's a nice piece of history and even nicer that he gave it to me and his 1st edition Copy of the Silmarillion where it is kept between the pages as it was in reference to that book. Wow that was ages ago, I forgot about that. I had an old account years ago, long since forgot the log in. A combination of the 2 user names is my name, its on facebook too. that's odd - the old thread shows 'pp' in front of the signature, but those letters are missing from the letter in this thread. I've merged the old account into your current one together for you on this site. I'm curious as well, did something happen to the PP on the letter, or was it removed digitally in the new image? Urulöké: Many thanks for that. I had the account a while ago but forgot the details. 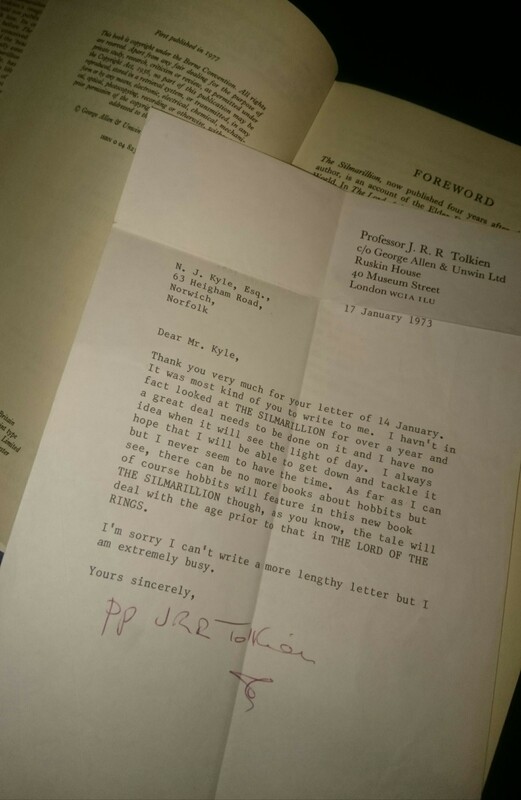 Still struggling with how the pp disappeared, it did look to me like it was digitally removed in the image that you posted on this site, and I am not happy with this happening on Tolkien letters or uploaded web images of his letters. I would also like to ask what has happened to this letter after scanning. The scan shows no signs of the very evident folds in the letter. They would show up surely.